Feliks 9 – Recent Toys Int. If you’re an avid puzzle solver, it’s always a thrill to come across a new challenge worthy of your wit. 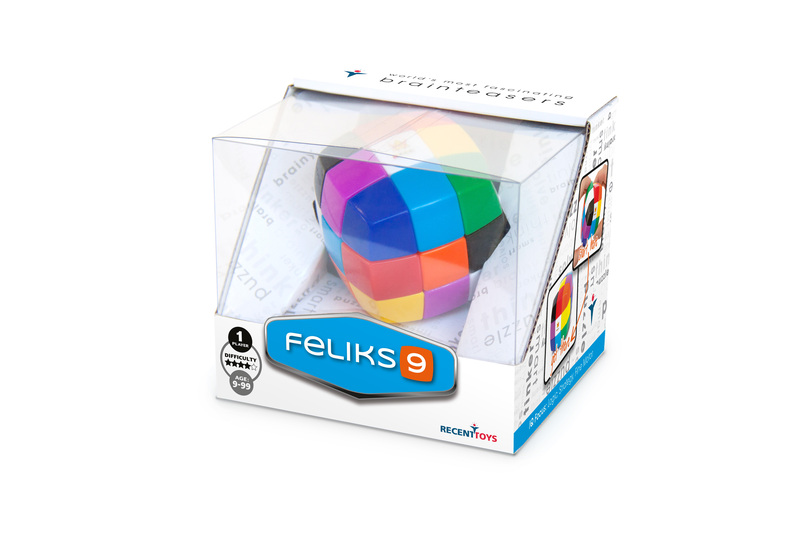 You’ll be thrilled to tackle the Feliks 9. 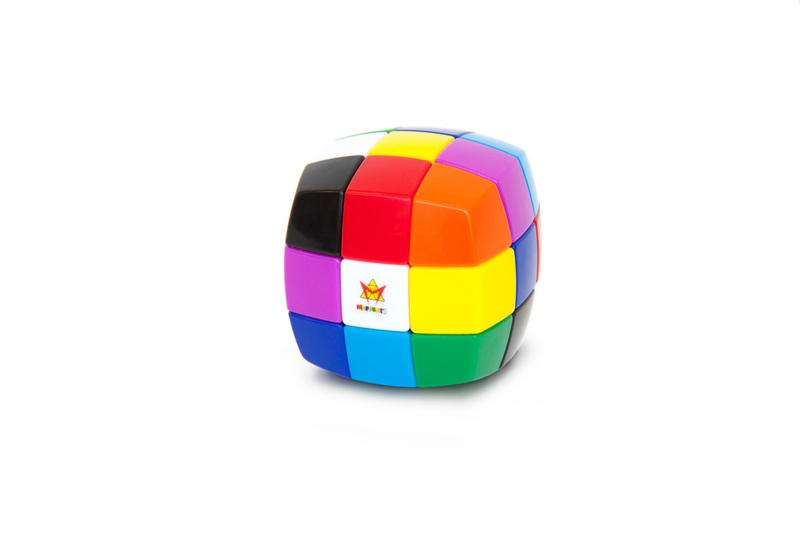 Each of the cube’s six sides is comprised of a 3×3 grid of brightly colored panels. 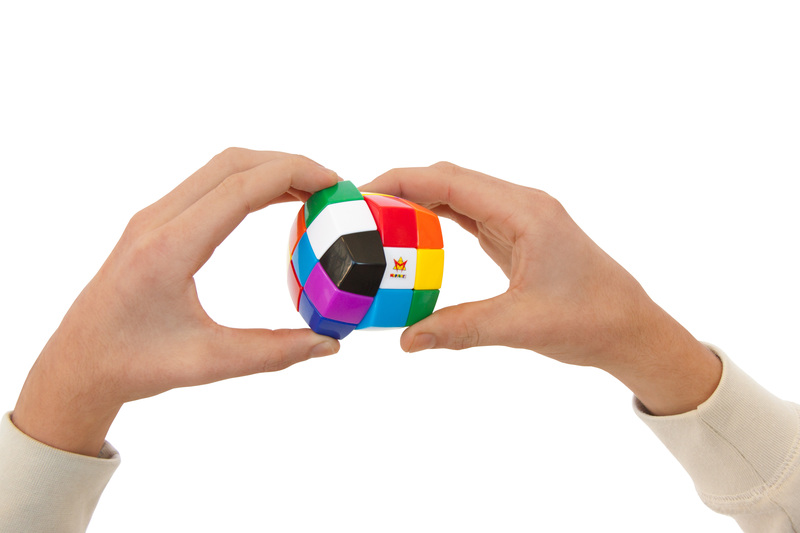 Rather than arranging the panels so that each side is the same color, puzzlers must arrange the panels so that each side contains all nine colors. 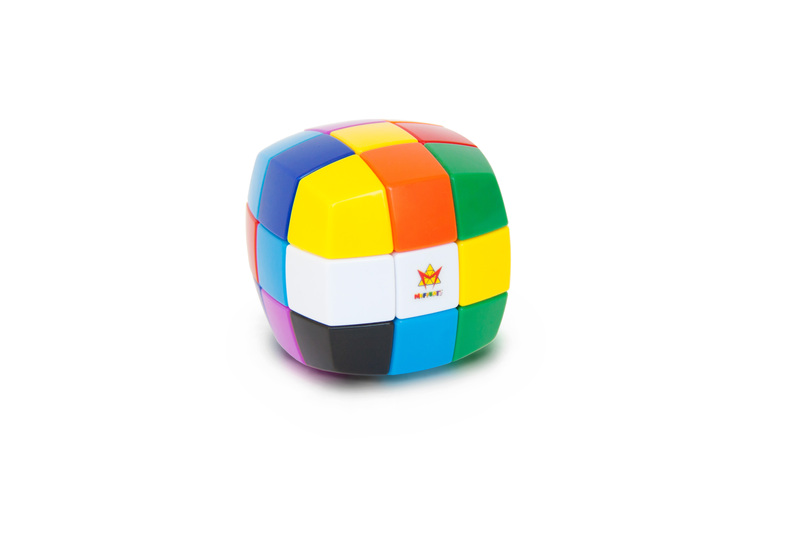 Solve by arranging the panels so that each side contains all nine colors.